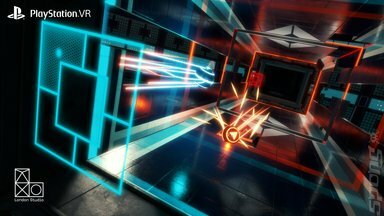 With so many games and experiences already available for PSVR, here's a round-up of some of the launch titles that you may not have tried yet. 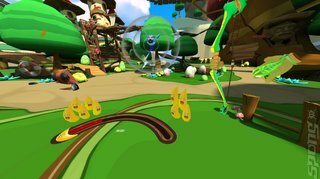 A collection of short games and experiences that should arguably be known as PSVR's answer to Wii Sports, VR Worlds is the perfect thing to try out when introducing family members and friends to VR for the first time. From 'Ocean Descent', which allows players to stand in a shark cage as it's lowered into the darkest depths of the sea, to a street luge racing game, there's plenty of variety in this package. The best experience in here is undoubtedly 'London Heist', a crime caper that puts you in the middle of a gangster story about stolen diamonds in London's east end. Impressively acted, action-packed and full of neat little touches, London Heist is one of PSVR's stand out experiences and one that truly makes you yearn for a full-length version of what's on offer here. Not only has Supermassive Games released the brilliant Until Dawn: Rush of Blood for PSVR, but it's also released Tumble VR. Tumble provides around 30 different puzzles, all centred around a common theme - stack blocks as high as you can. You pick up blocks using the Move controller (or standard Dual Shock controller) and then by moving the controller you can move, flip or manipulate the blocks to start building a tower. There are variations on simply stacking blocks. Other examples are games about placing bombs on a tower and detonating them to fire blocks out onto a giant scoreboard, others where you use glass blocks to redirect a laser, and many, many more. This game originated on PS3, where it didn't have VR functionality. And while VR doesn't change the game fundamentally, it's a welcome addition, really making you feel like you're sat (or stood) in this abstract environment. 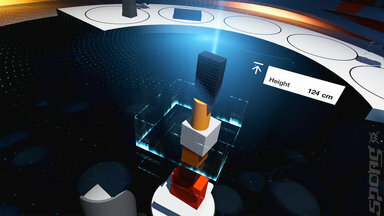 The game has friends' leaderboards, and a Portal-like feel with a floating robot eye providing quips and some company while you stack blocks. And for £7.99, it's superb value compared to some of the other PSVR launch titles available. The best way to describe Super Hyper Cube is that it's a cross between human Tetris and Dale Winton's BBC One series Hole in the Wall. Combine that with some of the best PSVR visuals this side of Rez Infinite and a soundtrack that's also second only to Tetsuya Mizuguchi's masterpiece, and you've got one of my favourite PSVR experiences so far. Described as a "first-person puzzler", playing the game is simple to understand but tough to master, at least in my experience. 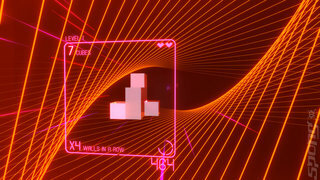 The game asks you to control a set of 3D cubes, and your goal is to flip and rotate this shape so that it fits through a hole in a wall that is rapidly approaching. The glory of 3D VR in this case specifically is that you can lean around the shape in front of you to see the wall and the hole in the distance. With each wall you pass, another block is added to the shape, and later on power-ups are added that highlight the hole and slow the game down, amongst other things. Super Hyper Cube is absolutely brilliant, only let down by a £25 price-tag that might be a little on the high side. In Ace Banana, you're an anthropomorphised banana that's trying to protect your banana friends from waves of hungry monkeys/apes/chimpanzees (delete as applicable). Viewed in the first-person, you have a trusty bow and arrow with which to take out waves of enemies as they start running towards you. At times it feels almost like a first-person tower defence game, which can be fun, but some key issues meant that Ace Banana was far from fun most of the time. During my time with the game, firing the bow and arrow, and more specifically the power and the trajectory of the arrows, were inconsistent. After firing a single arrow, and watching it fly off into the distance, I'd try and recreate the same shot but this time it would be barely clear some trees just in front of me. Combine that with some tracking issues when it came to aiming, and the game is just not being terribly exciting. It's hard to recommend Ace Banana at all.